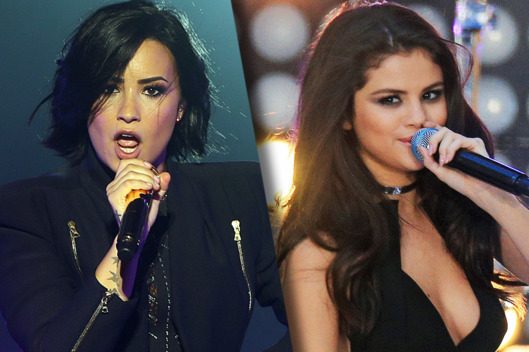 Demi Lovato has officially stepped in to take Selena Gomez's place at the 2016 Global Citizen Festival! Recently diagnosed with Lupus, Selena announced a break from the limelight, cancelling her Europe and South America legs of her Revival World Tour, among other appearances, to focus on what's most important: her health. The singer had been tapped to perform at the festival on Sept, 24 in NYC, but, of course, will not be in attendance. Demi will fill in as a headliner for the benefit concert, which is something that she's very excited about. "The Global Citizen Festival combines music and activism in a way that inspires and affects millions around the world. I am proud to support this amazing organization's ongoing efforts to improve global healthcare and to end extreme poverty," she told PEOPLE. Other artists expected to perform include Rihanna, Kendrick Lamar, Metallica and Major Lazer. Definitely an all star line up! It's a perfect opportunity for Demi, not only because she's already out on tour with Nick Jonas promoting her latest album, Confident, but she's also been a leader in the entertainment biz when it comes to global health and gender equality. Yet and still, it's sad that Selena had to drop out and, of course, our thoughts and prayers are with her! Fans can win tickets to the festival through a lottery by earning points for taking action in one's community, reaching out to world leaders, signing petitions or speaking up on social media. For more information, visit globalcitizen.org!